I have been travelling this week and with work taking me to the US of A for a few days of meetings, I decided to add a few days more and pay a visit to Team-M in Seattle. It’s been eight months since I last saw Seattle-A and all of her boys and while I turned up ready for an intensive cuddle top up, as far as the little dudes went, well young memories are not so long it seems and it’s taken few hours before screaming and suspicious looks were replaced by a cuddle (O) and cheeky grin or two (R). Today was crisp, cold and clear so we bundled everyone into the car and headed off to the small historic township of Snohomish. Yes, it is a real town, founded in the mid-1800s with a population of less than 10,000 people (2010 census). 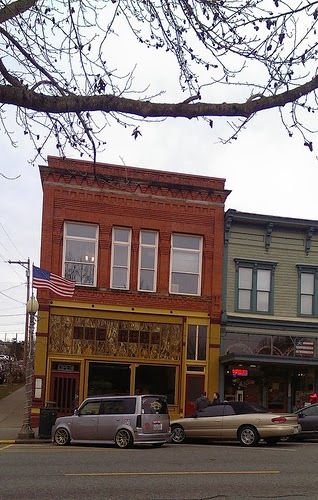 …so as soon as we arrived it was off to the Snohomish Bakery for a spot of lunch. 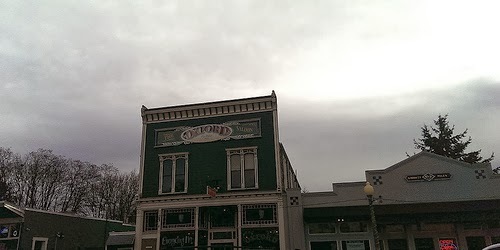 We then meandered down the main street, lined with antique shops and stores exhorting passersby to ‘buy local’. The flat-fronted buildings really gave it an old frontier town feel and I particularly liked these two. 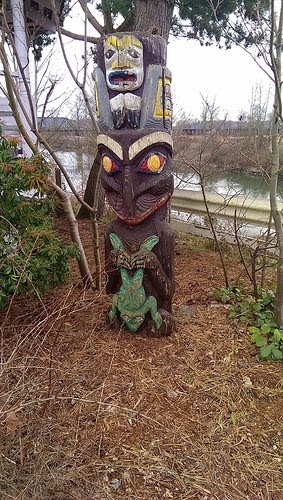 ...while this totem by the water presumably gave a nod to the local Native American tribe, sdoh-doh-hohsh, for whom the township was named. 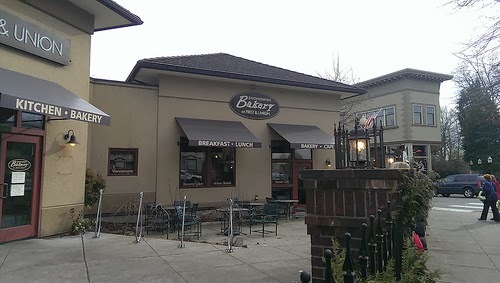 This entry was posted in A Traveller's Life, Armchair Tours, Australian Abroad, eating out, Seattle-A and tagged Seattle, Seattle-A, Snohomish by Kym Hamer. Bookmark the permalink.